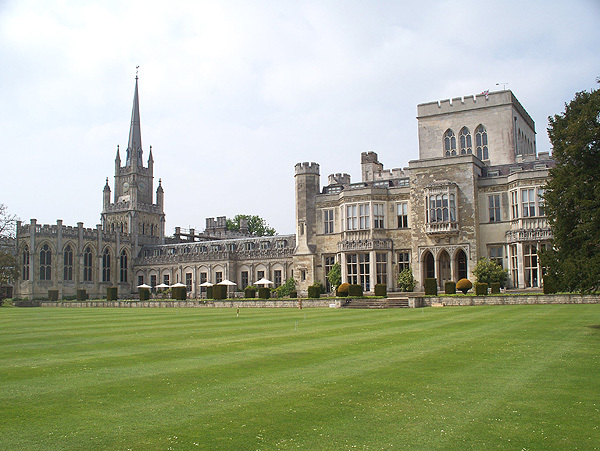 Ashridge House is a grand mansion in Hertfordshire, built in the 19th century. 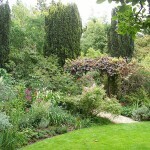 Adjoining the house is a large private set of formal gardens and tree planting. 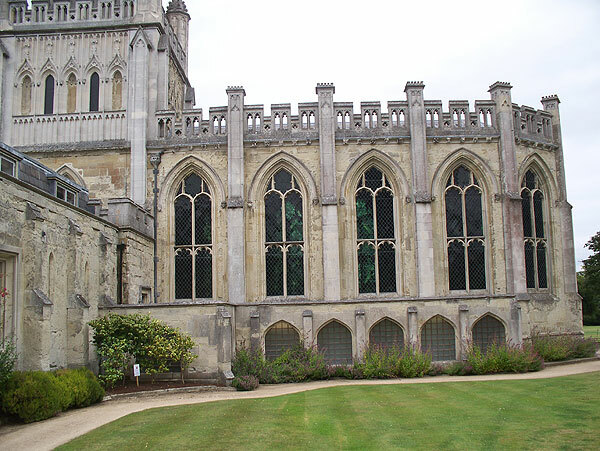 Please be aware that unlike the adjoining Ashridge Estate, the house and gardens are NOT owned by the National Trust. 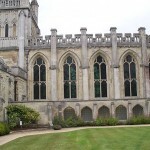 The house was built between 1808 and 1822 in a neo-Gothic style, including a crenellated central tower and a prominent chapel with tower and spire. 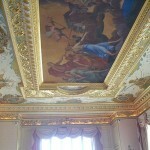 Inside are a series of magnificent rooms. 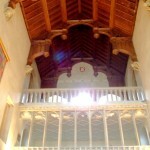 The Entrance hall has a hammerbeam roof. 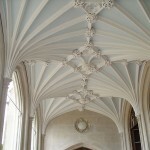 The Main Hall under the tower rises to 29m (70ft) and has impressive fan vaulting and a series of statues. 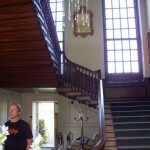 The cantilevered staircase has a cast iron balustrade with brass handrail. 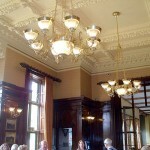 The Hoskins Room, with a blue and white theme, has fine plasterwork. 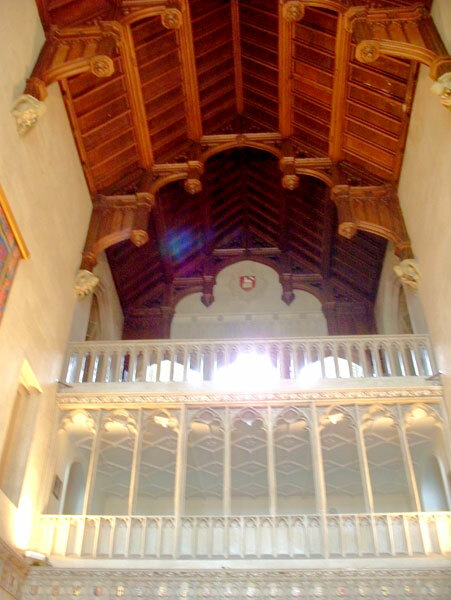 The Ante Room has high ceilings and much woodwork including three pairs of English oak doors. 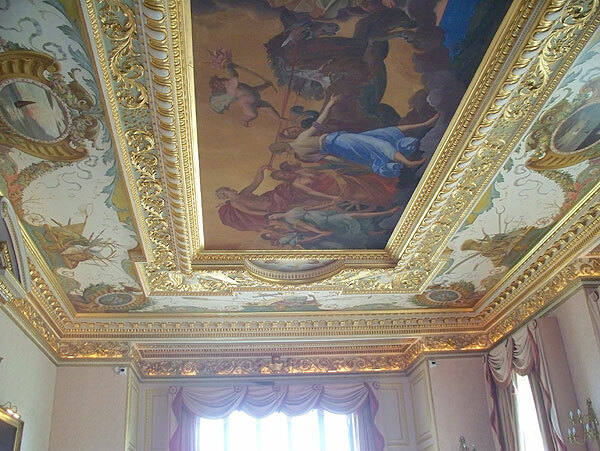 The Lady Marion Alford Room has a fine ceiling with a painting depicting the goddess Aurora, and twin marble fireplaces based on those in the Doge’s Palace, Venice. 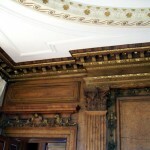 The Wyatt Room has oak paneling and an ornate plaster ceiling. 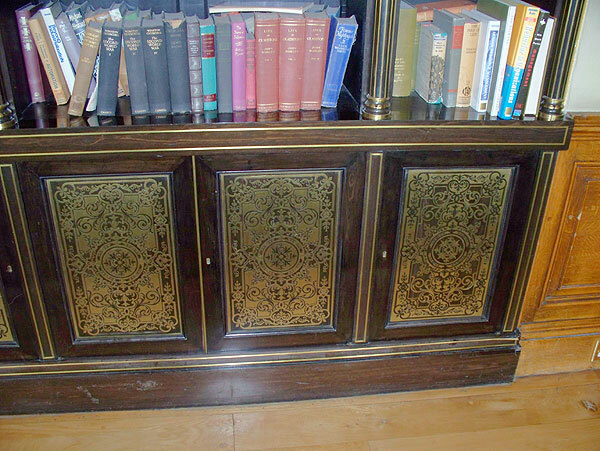 The (former) Library has ebony bookcases with brass inlays in a Boulle style. 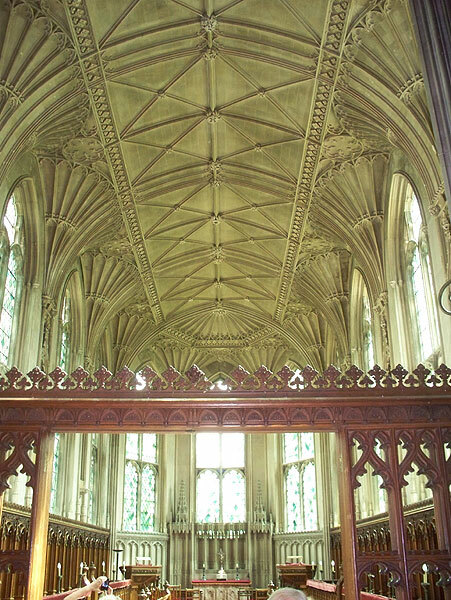 The Chapel, designed by James Wyatt, is a fine example of his work. 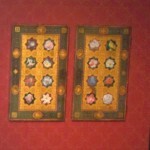 It contains stained glass windows which are replicas of the original 16th century Bavarian stained glass. 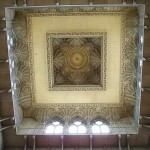 The originals were sold in 1928 for £27,000. Under the Chapel is the Well House, which pre-dates the main house and contains a deep well sunk by the monks in the 13th century. 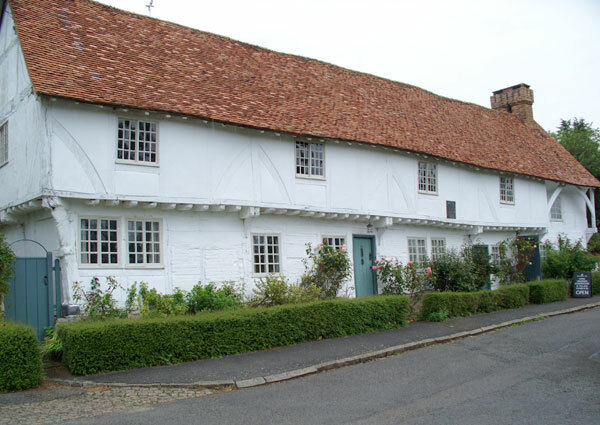 At least one of the outbuildings pre-dates the house, but the ‘Old Stables’ were built in 1817. 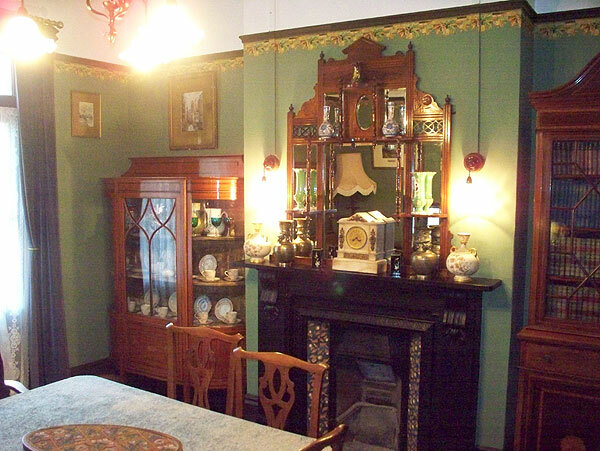 The house was built for the Egerton family, replacing an earlier house built on a monastic site. 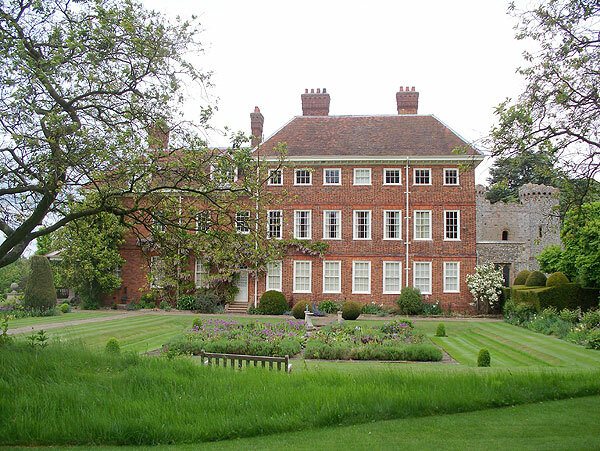 The house once belonged to Henry VIII and then Princess Elisabeth. 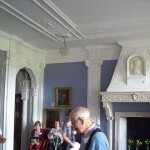 The Egertons owned the house until 1849. Later owners the Brownlows sold it off in 1921. 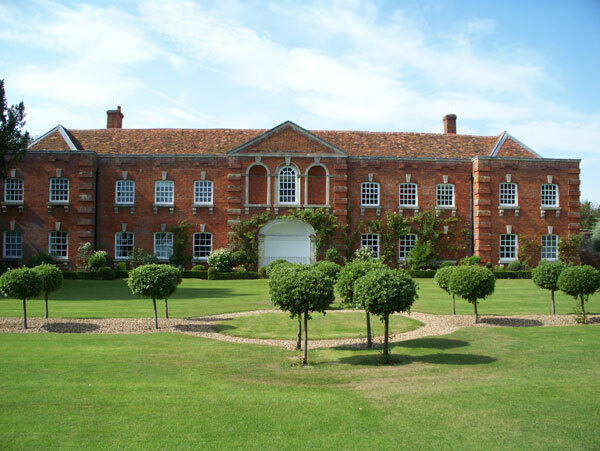 In later years it was a hospital, a Conservative Party training centre, a finishing school, and finally a management college and business school. 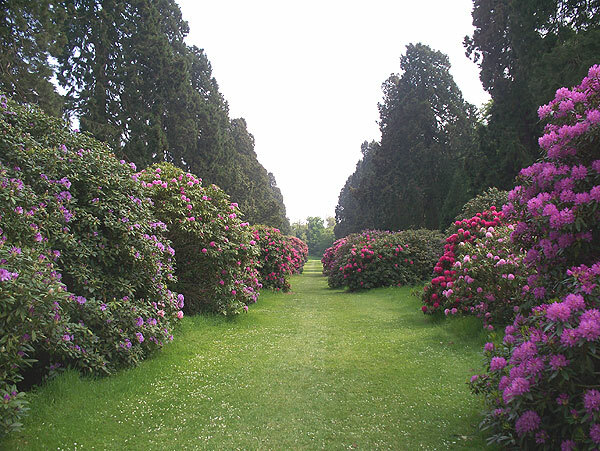 The gardens cover 77 hectares (190 acres) and include a formal Italian garden, and various other gardens and features as well as avenues of trees and open grassland. 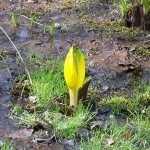 They are well worth a visit. 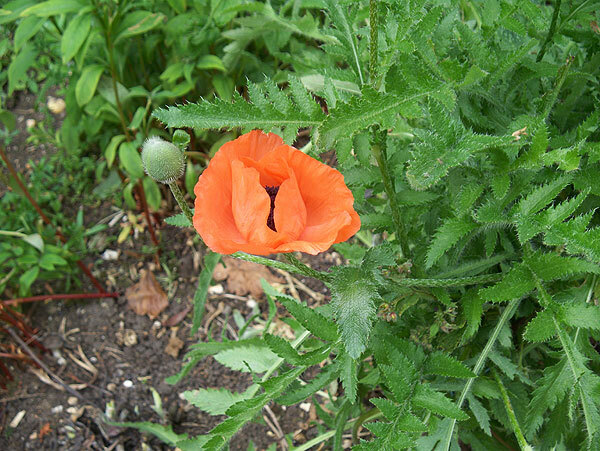 Visiting: The gardens are open on weekend and Bank Holiday afternoons during the summer, for a modest fee. 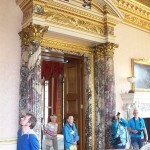 On a few dates in July and August, guided tours of the house and gardens are available. This is the only way of seeing inside the house. 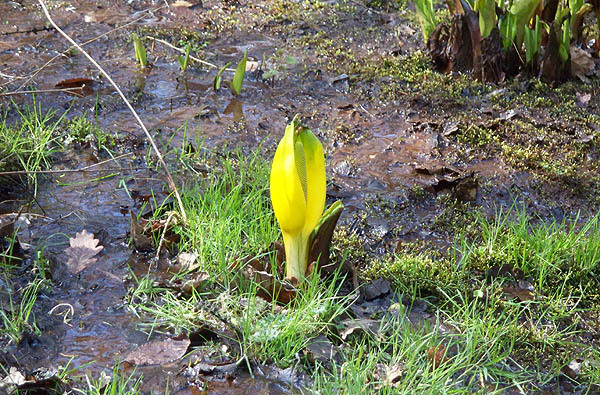 It is best to book by phone so you can ask what counts as a concession and what times the tours start, and whether you can go around the gardens on your own instead of paying for the garden tour (apparently not). 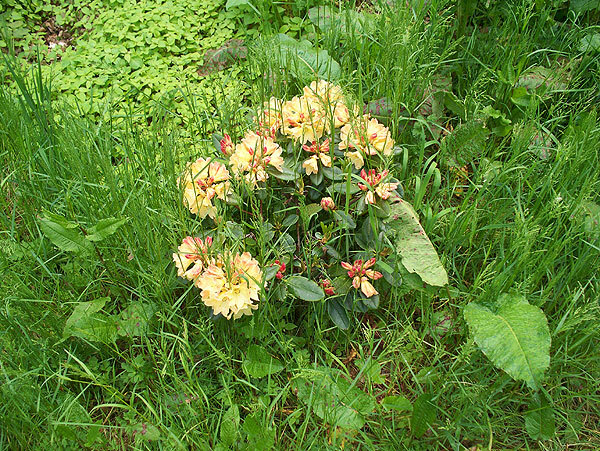 Most visitors, it seems, book for both the house tour and the gardens tour that follows after complimentary refreshments. 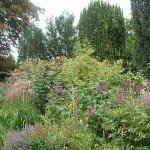 Benington Lordship has seven acres of gardens which are opened to the public. 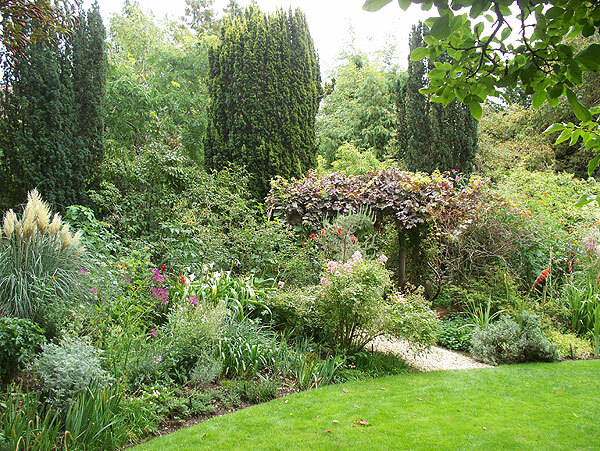 There are several sections of formal garden at different levels, plus a large pond, and expanses of lawn. 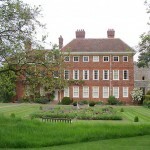 The substantial house – Queen Anne with early twentieth century extension – is not open to the public. 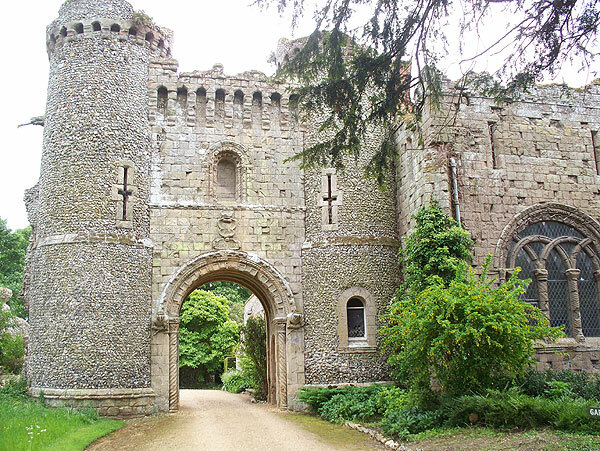 It features a striking attached folly in the form of a ‘Norman’ gateway and arched window. 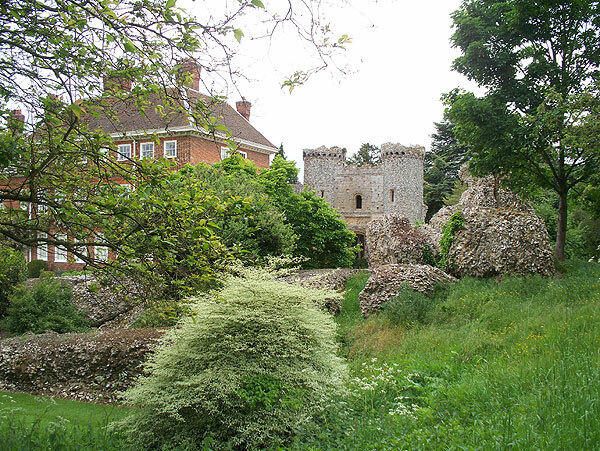 In the garden are the tumbled remains of a castle which once stood on the site. 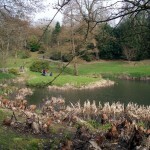 The gardens are worth a visit if you are in the area. 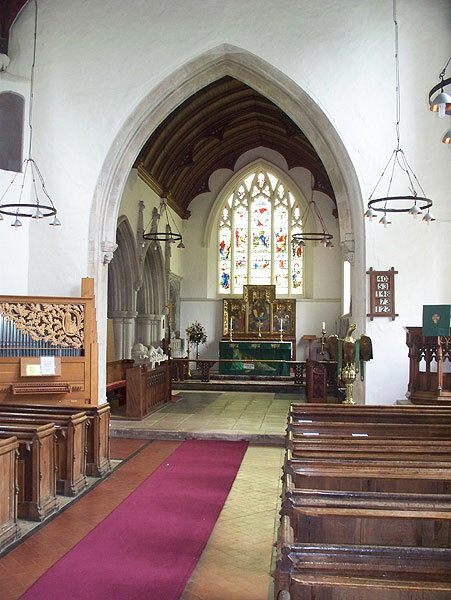 When there, do not neglect to visit the centre of the village containing a number of old cottages, and the church. 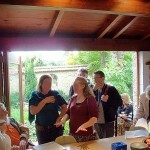 Teas are usually available in the village hall nearby. 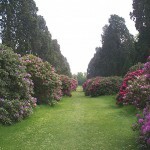 Author visitPosted on July 6, 2016 Categories Parks & Gardens, South-eastLeave a comment on Benington Lordship, Hertfordshire. The Panacea Society was founded in 1919 by Mabel Barltrop, the widow of an English clergyman. The Society believed that she was a modern prophet and that a millennial event bringing in a thousand years of peace and happiness would soon occur. 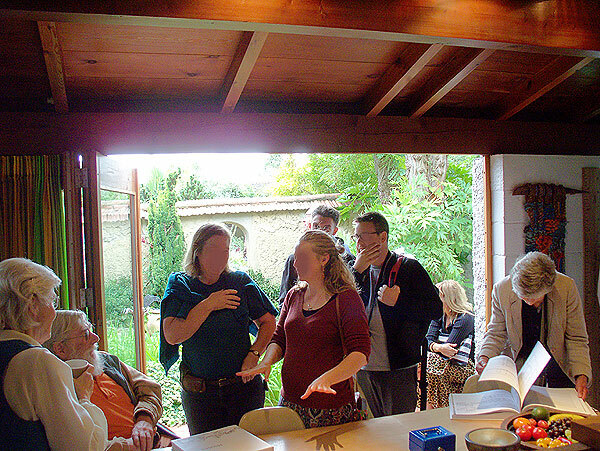 The members were inspired by the writings of Joanna Southcott, a prophetess living about 100 years earlier who predicted a messiah would begin the millennium in England. 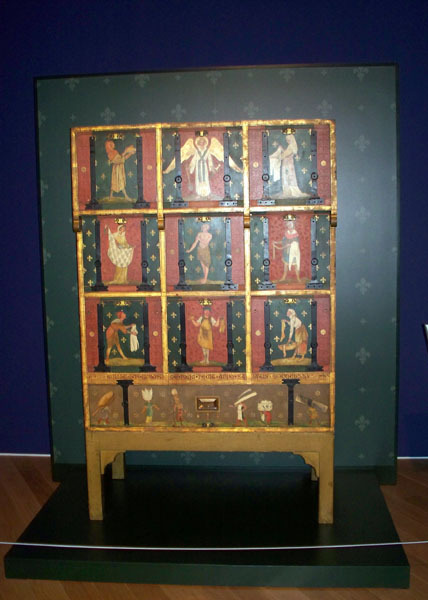 The Society was best known some decades ago for its national advertising campaigns to open ‘Joanna Southcott’s Box’. 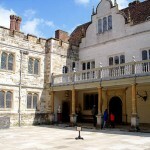 The property at Bedford included accommodation for 24 bishops at a high-profile opening ceremony. 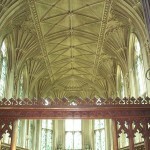 The Bishops of England declined repeated requests to attend a three-day ceremony of box opening. 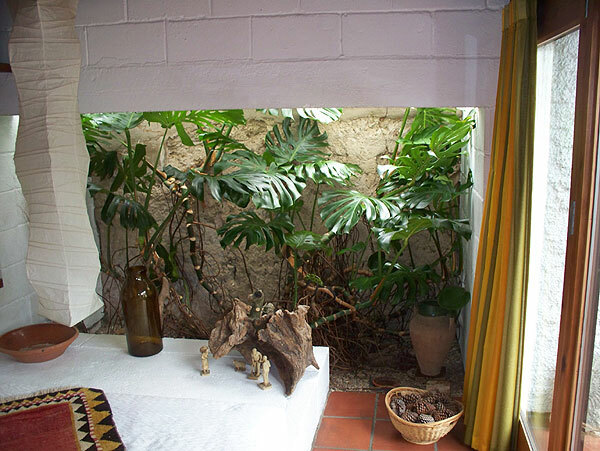 Another activity of the Society was the distribution of materials for making holy water – an universal panacea. 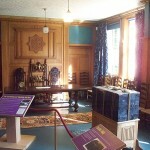 In the inter-war period there was an active community of Society members at Bedford taking part in religious services, but nowadays the main activities of the Society seem to be maintaining the Museum and administering a substantial portfolio of property and assets bequeathed to the Society by deceased members. 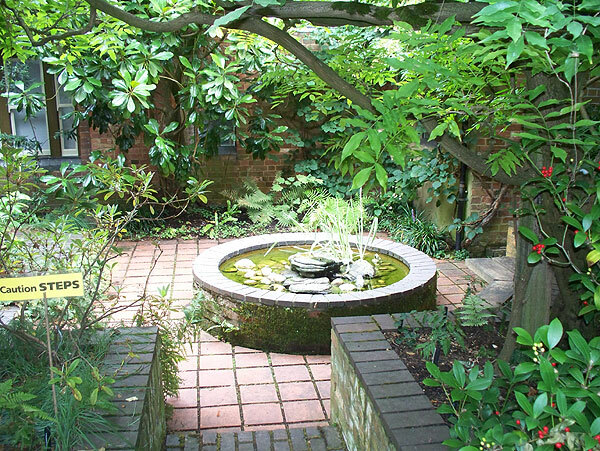 The Museum site, discreetly located in Victorian villas at the centre of Bedford near the Castle site, contains the Founder’s house, the Bishops’ accommodation, the Chapel and gardens. 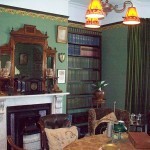 The Founder’s House has been arranged as it was in the 1930’s, with much of the original furniture. 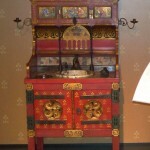 The contents reflect late-Victorian and Edwardian fashions. The larger building, Castleside, was intended to be used for the box-opening. 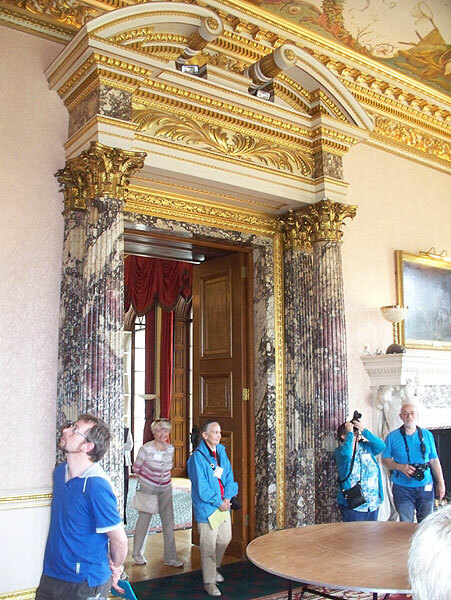 Most rooms are now used as exhibition spaces, but a few are fitted out to represent their original functions: a sitting room, a bedroom, a bathroom, and the box-opening hall. 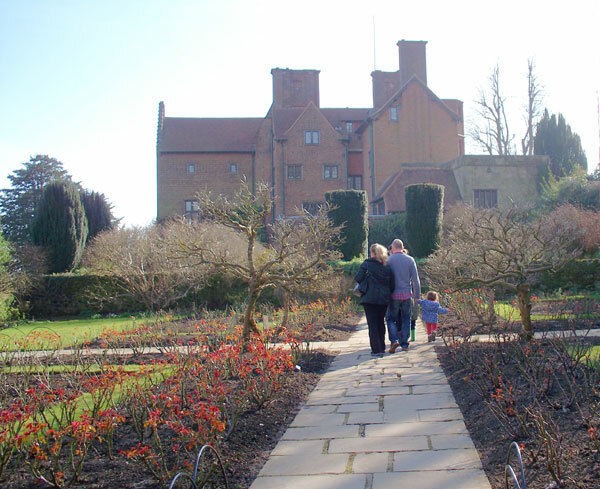 Chartwell was the country home of British prime minister and war leader Sir Winston Churchill. 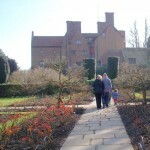 The site of Chartwell was built on from the 16th century, but the present house originated in the Victorian period. 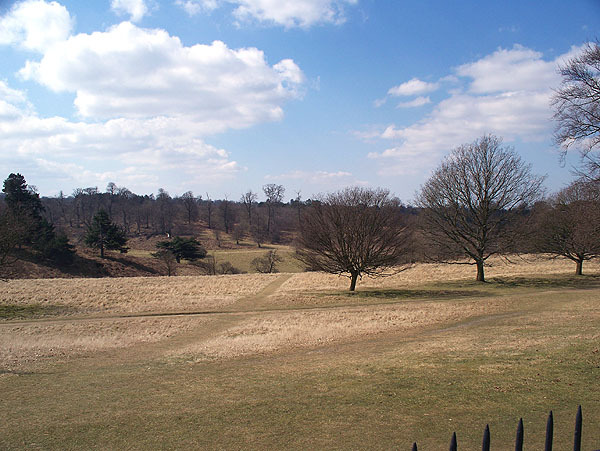 It was a brick Victorian house of no architectural merit, but Churchill bought it for its position and the views. 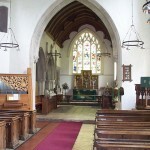 It was transformed and extended by the architect Philip Tilden in a vernacular style of the kind made popular by Lutyens. 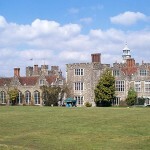 In 1938 it had 5 reception rooms, 19 bed and dressing rooms, 8 bathrooms, and was set in 80 acres of grounds. 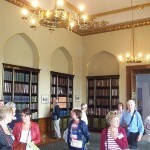 A tour of the house takes well under an hour, and it has to be said that the main interest is the Churchill connection. 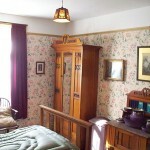 Rooms are displayed as they were in Churchill’s time, or contain exhibitions. 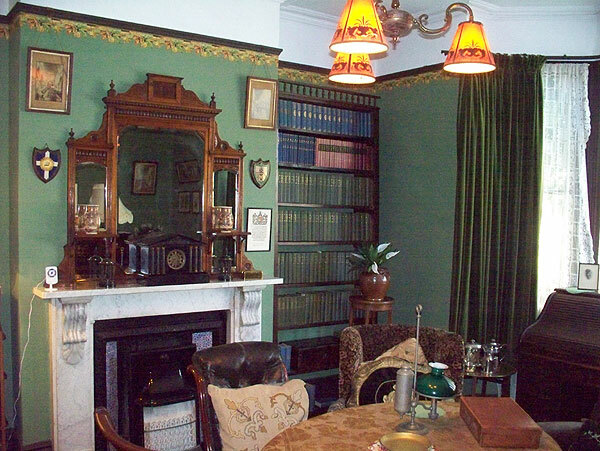 Various rooms contain some of Churchill’s books. 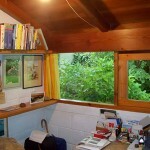 He owned many thousands of books, and made a living as a writer and historian. 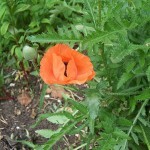 His histories of Marlborough, and of the English Speaking Peoples, of the Second World War etc. are still worth reading today. 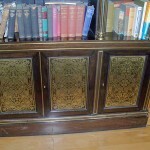 Volumes of his work can be seen shelved around the house. Many of Churchill’s own paintings are also on display. 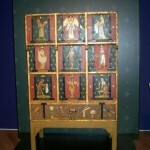 His art may not be to all tastes, but he was regarded as a serious artist. Below the principal ground floor is a lower floor that looks out onto the lakes. The kitchen on this level is preserved as it was in the 1930’s. 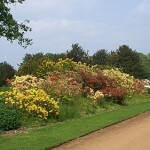 The grounds are very extensive, and contain formal gardens, lakes, woods, a swimming pool, a walled garden with a wall part built by Churchill, and some cottages with Churchill’s art studio. Access is along narrow roads. The car park is of only moderate size, and when I visited on a March afternoon, it was full. 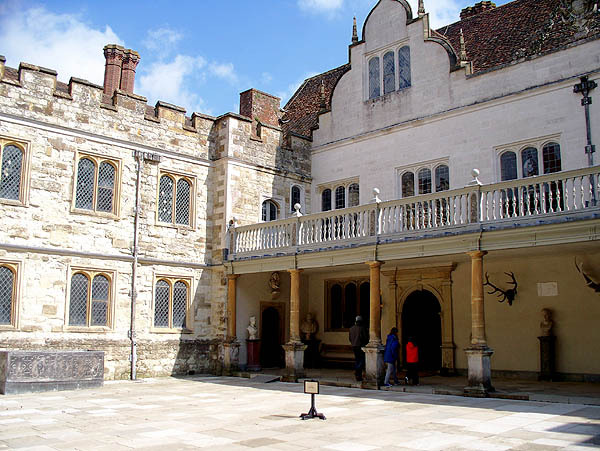 Ightham Mote (pronounced I-tam) is a medieval manor house that has survived for over 650 years in a valley in the Weald of Kent. 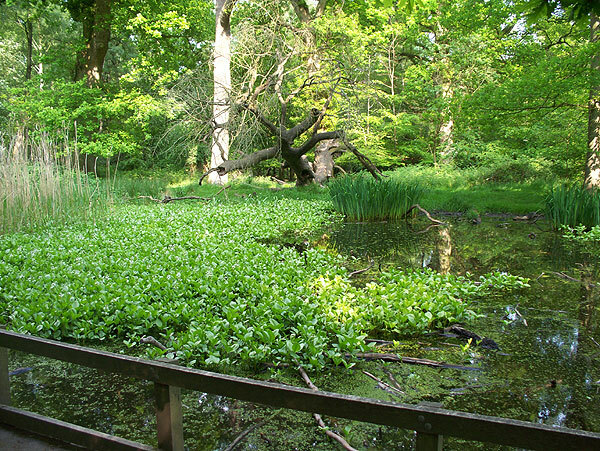 It is entirely surrounded by a moat of running water, fed by a stream that traverses the gardens. 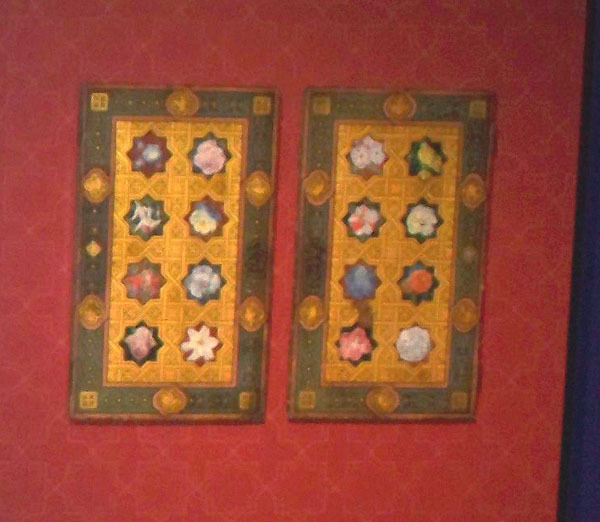 The various owners were wealthy but not famed, and made modest changes to the house to adapt it to their needs and tastes. 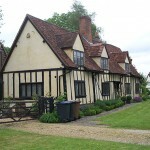 Much of the present outline of the house was in place by the 16th century. 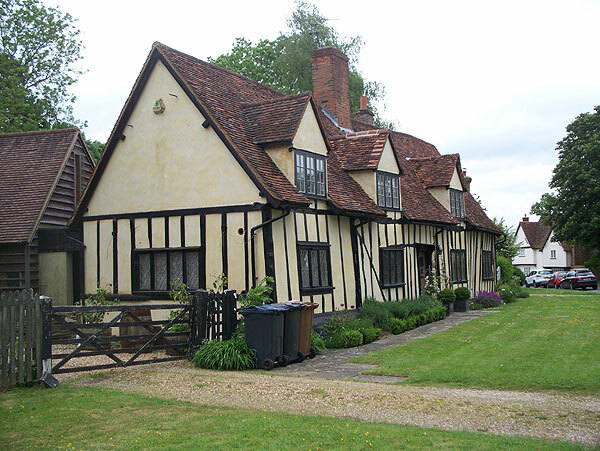 The house, with its cream stone and jumble of red-tiled roofs, sitting in a square moat, is very attractive. 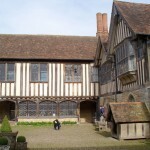 If one stands in the central courtyard and looks around, it may look as if the house is of one piece and date, but in fact it is the product of six centuries. 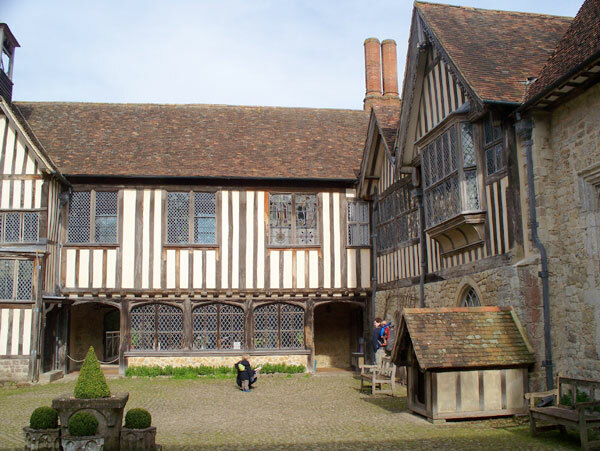 The earliest parts of the house date from the 1330s while other parts were built or altered at times from the Tudor to Jacobean to Victorian. 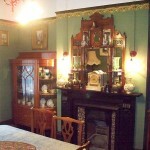 The last owner bought the house in the 1950s and some rooms are presented with the decor of this period. 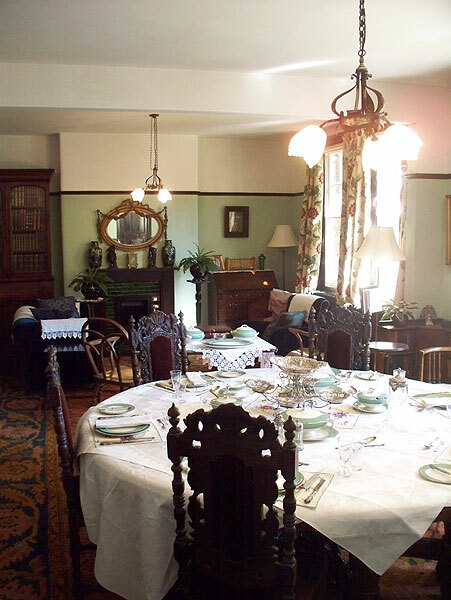 The house suffered sales of its entire contents on more than one occasion, and is presently furnished with furniture appropriate to the periods in which the rooms are presented. 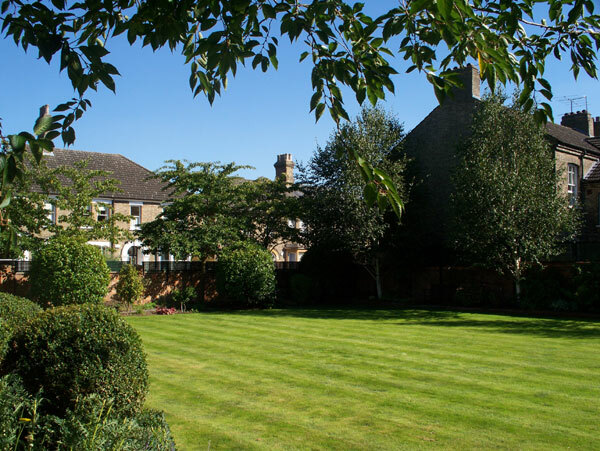 Above the house to the north is a lawn and informal grounds, while to the west are a formal garden and some cottages on the site of the former stable block. 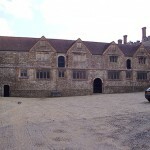 From 1990 to 2004 the house underwent a major programme of conservation during which much of the roof and timber-framed rooms were dismantled, and rotted and infested parts of the timbers cut out and replaced with new wood, before the whole was reassembled, so that the house now looks the same as before, but no longer crumbling. 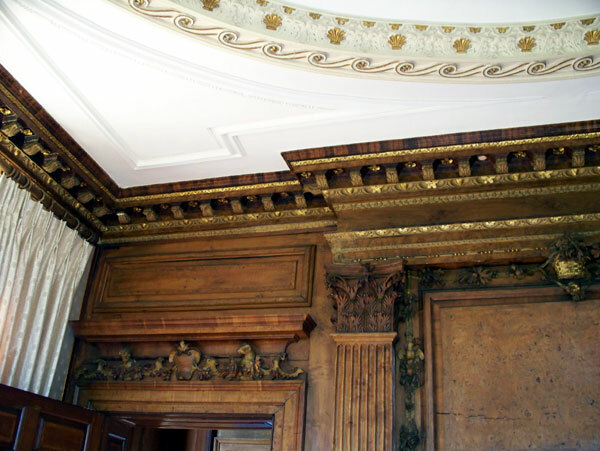 Hence most of the lath and plasterwork in the house is modern. 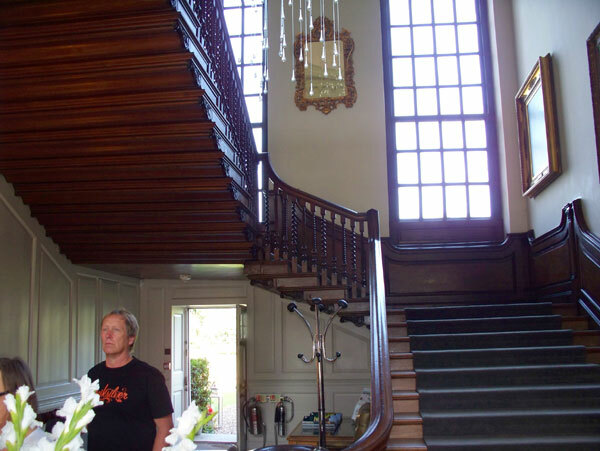 On the other hand, without these repairs and also the repairs carried out in the Victorian period, parts of the house would have eventually fallen down. 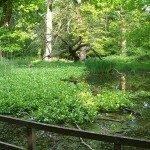 The conservation programme cost around £11 million. 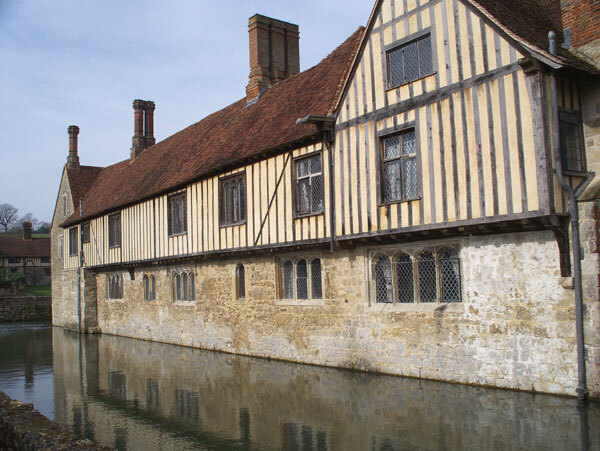 Ightham Mote is well worth a visit, as it has some fine interiors and is one of the best moated medieval houses in the country. 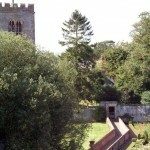 Note that the approach to the house is along narrow roads. 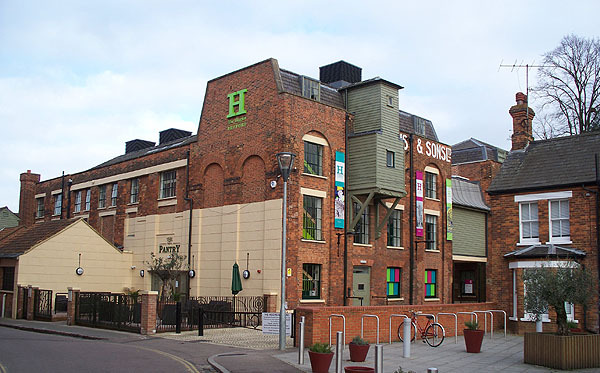 The Bedford museum and art gallery opened in mid-2013 after a major refurbishment and extension, and has been re-branded as the Higgins. 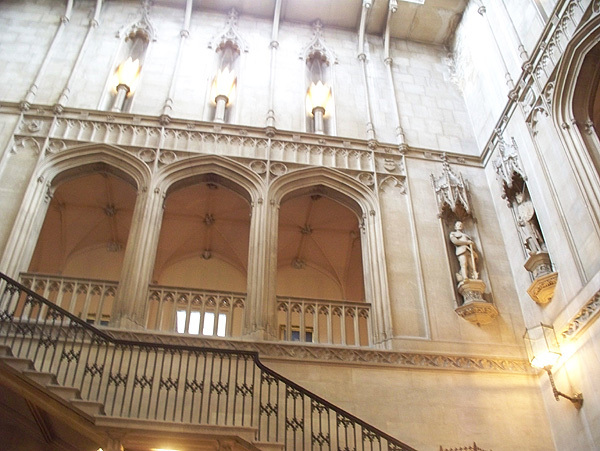 The galleries, upstairs and downstairs, are extensive, and a full tour takes several hours. 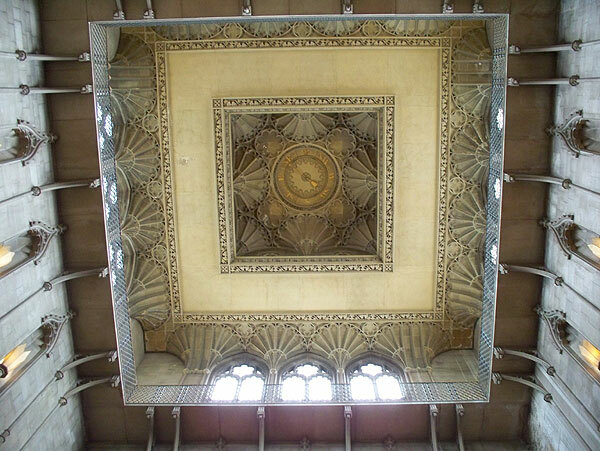 Galleries include art, local archaeology, local industries, ethnographic collections, natural history, Arts and Crafts movement furniture and artefacts, temporary exhibitions and, the prize of the collection, the Burges Room, containing painted furniture by the Victorian designer. 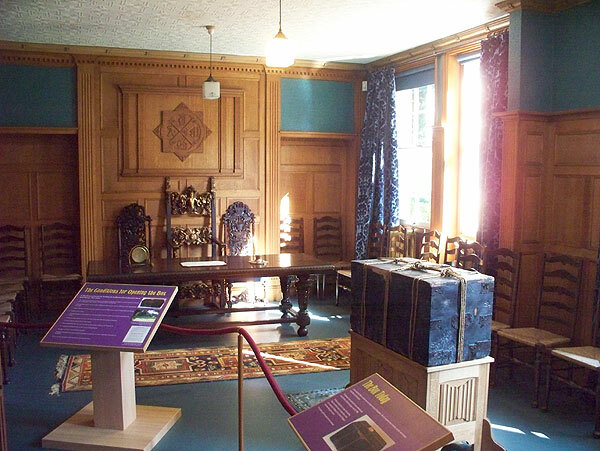 The museum buildings incorporate the original Victorian mansion built for Bedford industrialists the Higgins family, but having had various parts demolished or knocked through over the decades to adapt the buildings for museum use, the mansion has lost much of its original character. 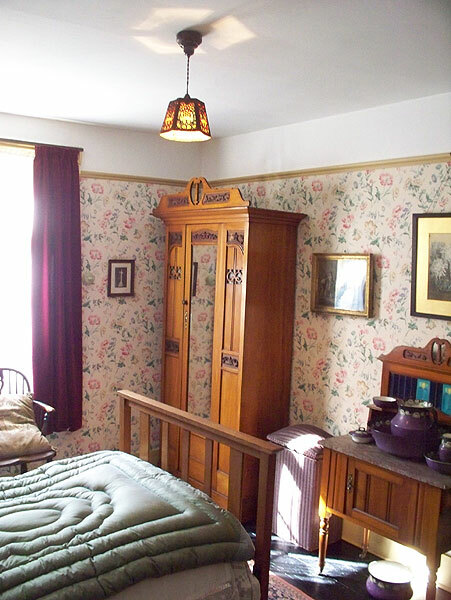 Furniture and contents typical of the period have been placed in the principal rooms. 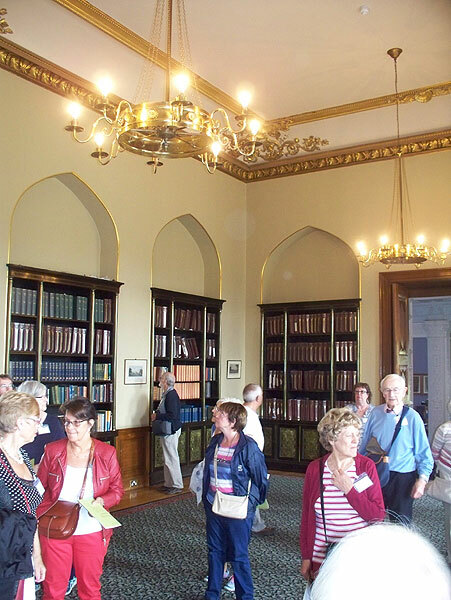 If the purpose of your visit is to see the Burges Room, it is advisable to ask for directions. 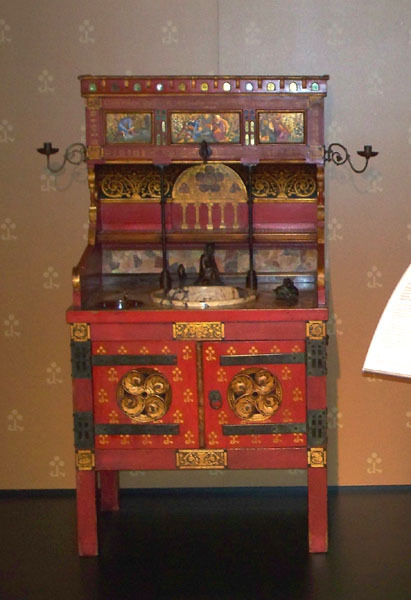 A number of important pieces of painted furniture, some from Burges’ last residence, the Tower House, are placed around the walls of an artificially lit space. 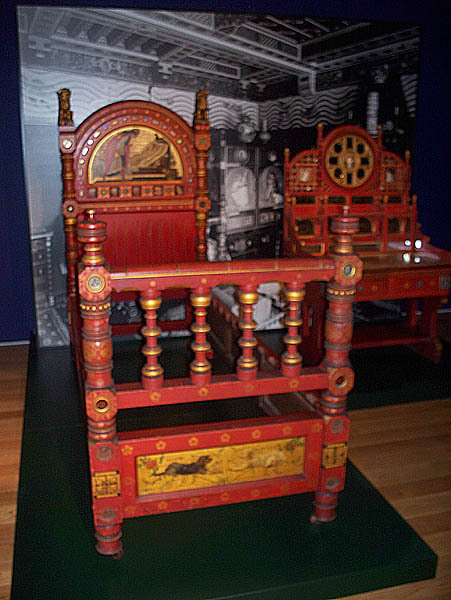 The adjoining spaces and galleries contain the museum’s collections of Arts & Crafts furniture and artefacts from the Victorian and Edwardian period. 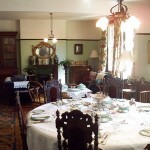 A visit is recommended, especially if you are interested in high Victoriana and the Arts & Crafts movement. If you need a refreshment break during your visit, the Higgins Pantry with waitress service is available next to the entrance. 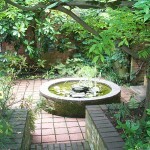 The Higgins is in the centre of the town, within walking distance of Bedford & Bedford St Johns railway stations. Parking in the area is restricted, and could be difficult on a Saturday, when the weekly Bedford auction is held nearby. 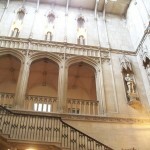 One’s first impression of Knole is that it’s big. 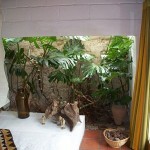 The frontage is very long, and is exceeded by the depth, and there are seven courtyards. 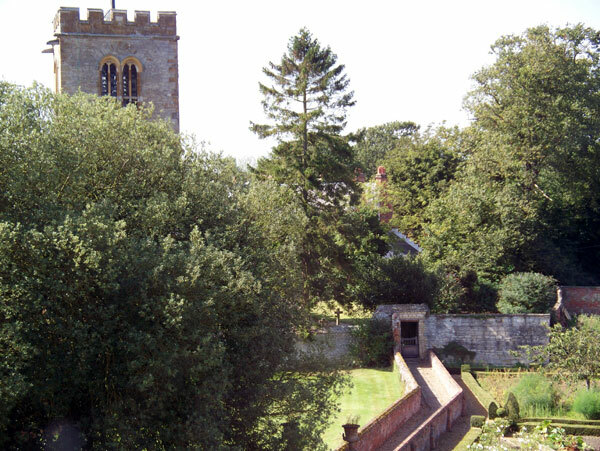 On the approach one can also see part of the massive wall of Lord Sackville’s walled garden. 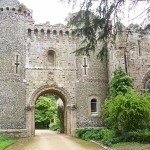 Passing through the arched main entrance, one enters the Green Court, with some fine frontages. 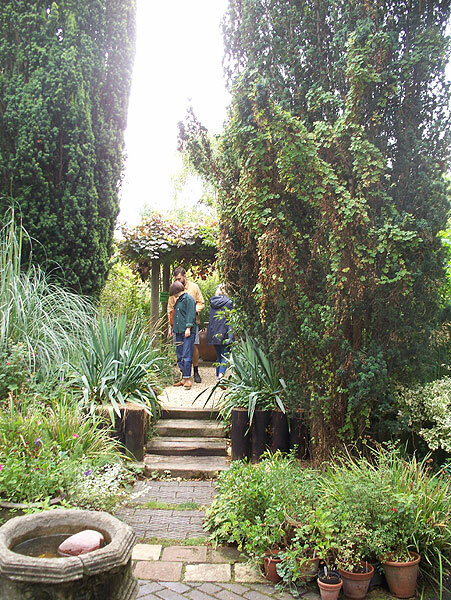 Visitor reception and the garden are to the right. 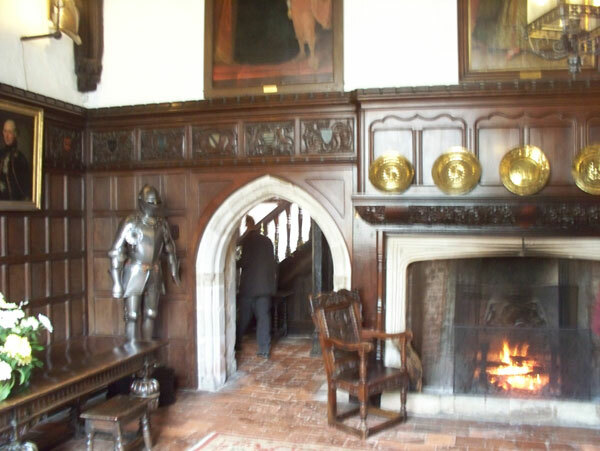 Note that after checking in (or paying) at the visitor reception, one is expected to present one’s ticket at the garden entrance (if open) and at the Great Hall. 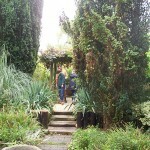 It’s worth making the effort to come on a Tuesday, when Lord Sackville’s walled garden is open. 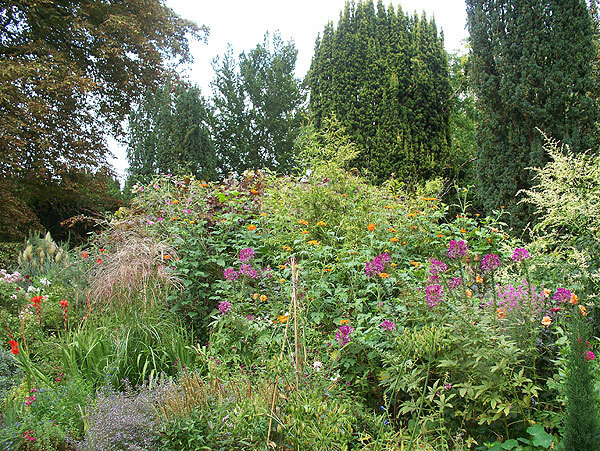 The walled garden is the size of a municipal park and features trees rather than flowerbeds in a variety of differing areas. 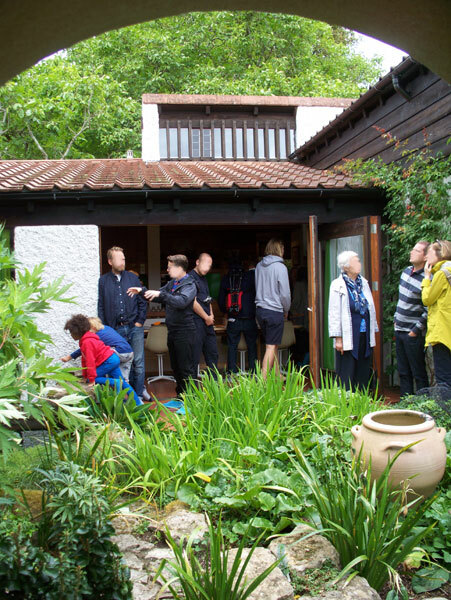 It wraps around two sides of the house, (SW & SE) and these exteriors can not be seen from outside the garden. 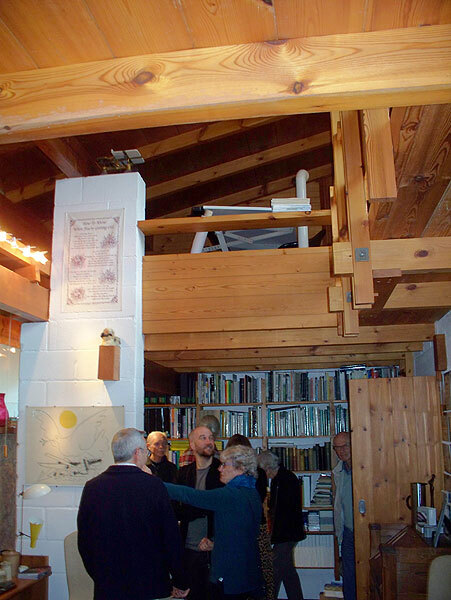 (Actually when I visited, the south end of the house was wrapped in scaffolding and plastic, and not visible anyway.) 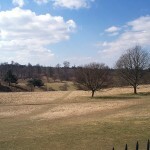 The wider park (huge) is rather bare and brown by comparison. 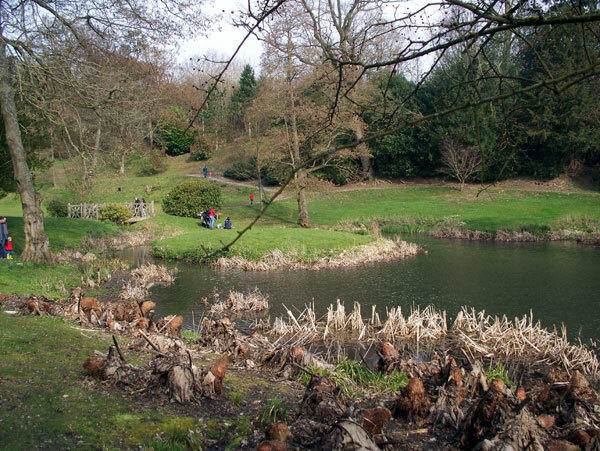 Be aware that the interior of the house is unheated and draughty, so if you visit on a chilly, breezy spring day, dress as for outdoors, as it will be as cold as the park! 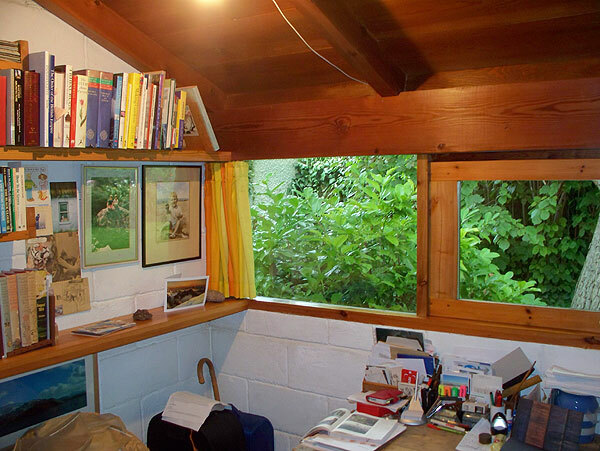 The old ‘Estate Office’ is the only visitor room that is properly heated. 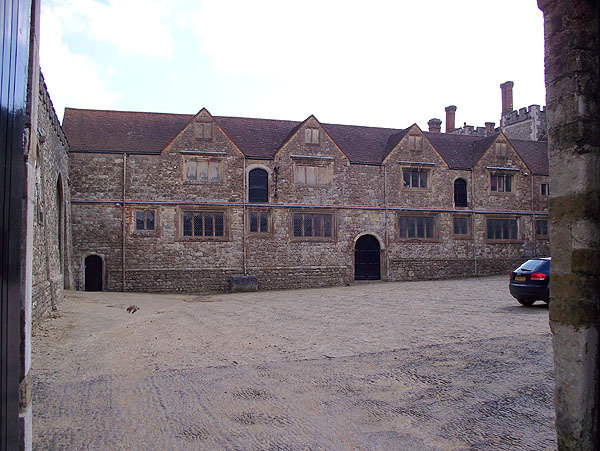 If you have time, walk around the outside towards the tea-room to look at the north exterior and peer into the Stable Court (private). 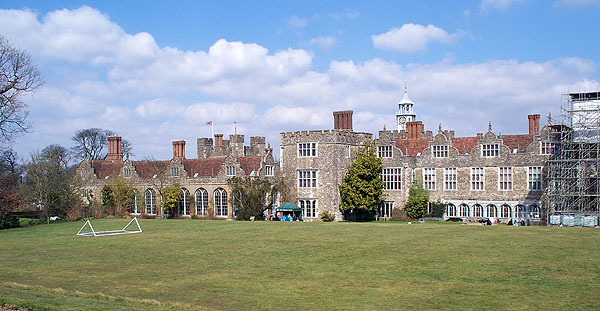 Knole is a healthy 1.5 mile walk from Sevenoaks railway station, mostly uphill. Parking at the house is £4 (NT members free). 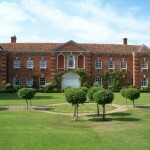 Chicheley Hall is an early Georgian mansion built in 1719-23. 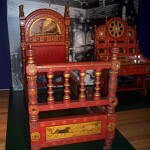 It was owned for centuries by the Chester family, some of whom are buried in the nearby churchyard. From 1954-2009 it was owned by the Beatty family, Earl Beatty being the son of the famous WWI admiral. 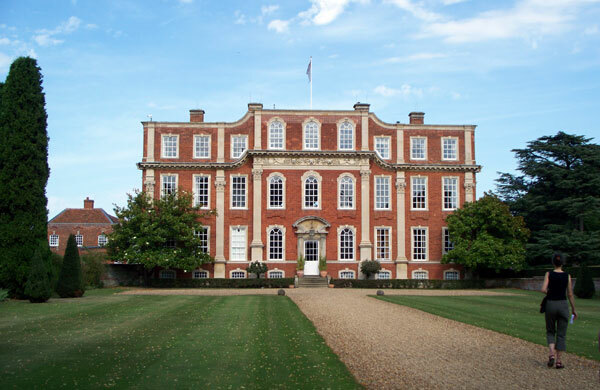 It is now owned by The Royal Society, who have spent many millions of pounds on renovating the Hall and turning it into a conference centre. I remember visiting the house when it was open in the 1980’s and seeing some Beatty memorabilia, but no Beatty relics now remain in the house. 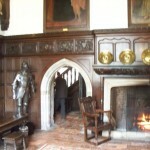 The ‘uneven floors and creaking corridors’ are also in the past. 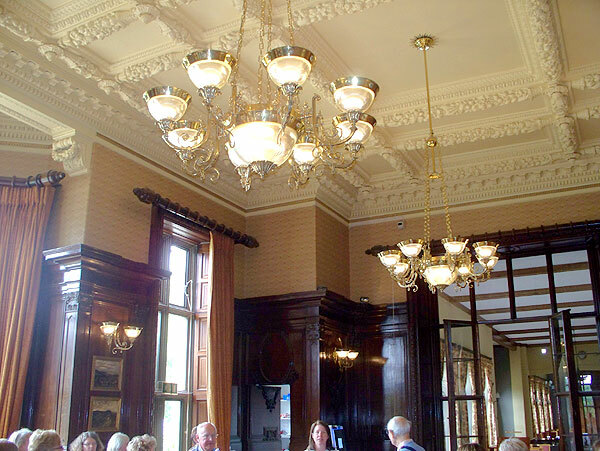 In Sept 2012 I was able to visit the Hall via a guided tour as part of the national Heritage Open Days event. Outside the approach front is the most impressive view of the house, followed by the lake front, while the garden and service fronts are more utilitarian. 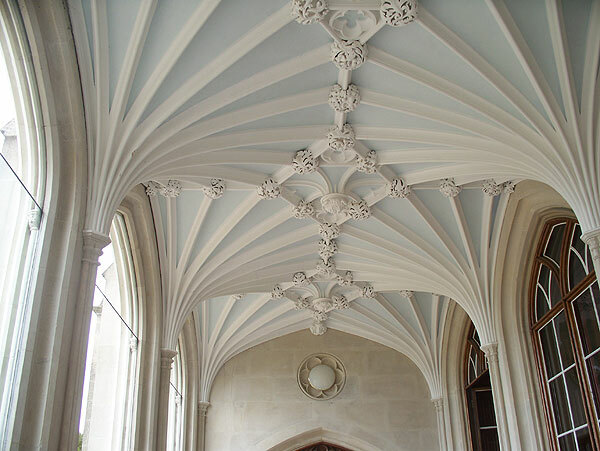 There are two service wings now used for guest bedrooms, the north wing being linked by a curving corridor. 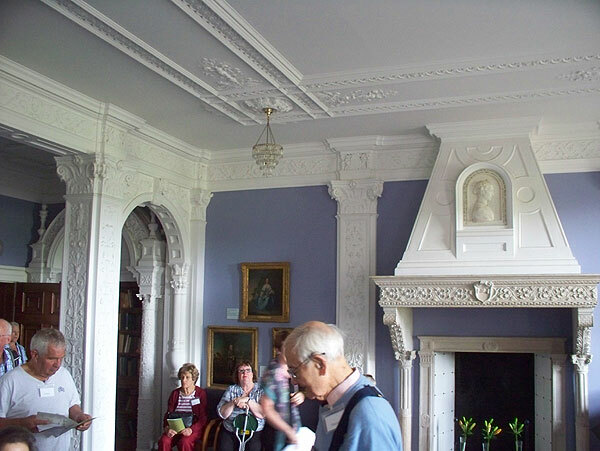 According to the Chicheley Hall website, non-corporate visitors can visit the Hall by arrangement and have a cream tea etc. You should contact them for details. 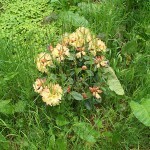 The estate has 75 acres of land, which includes several acres of pleasant gardens around the house. 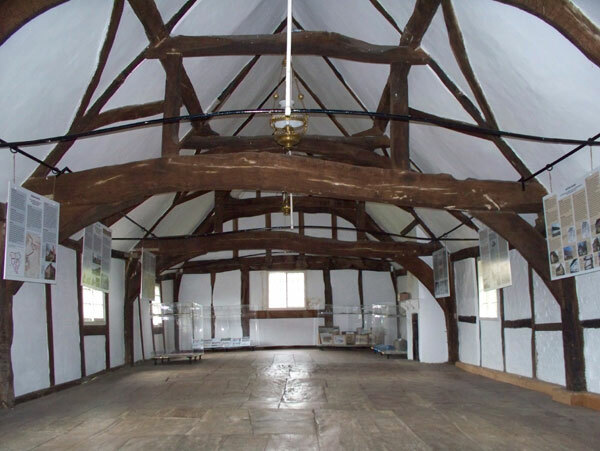 The timber-framed Courthouse dates from the 15th century, and was used for legal meetings of the three manors into which the surrounding farmlands were divided, and later for other purposes. In the 1890’s it was derelict and under threat of demolition when it became the second property acquired by the nascent National Trust. 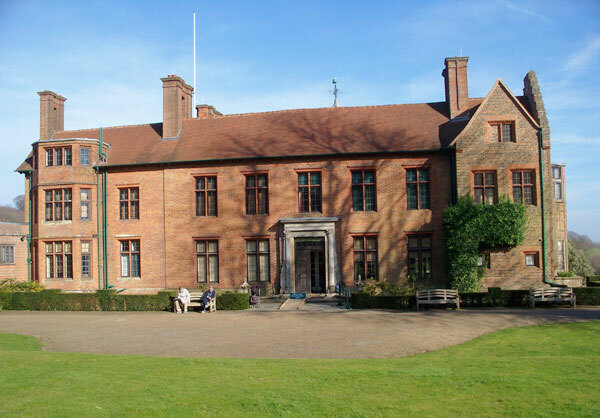 For a time one of the radical founders of the trust used it for residential workshops for poor boys from the cities, to broaden their minds and foster comradeship between boys and men. 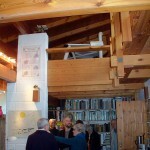 After a dispute, the building was re-dedicated to more conventional use, and today the ground floor is let out as accommodation and the upper floor houses a village exhibition. In the 1980’s the building was (again) refurbished to remove some of the heavy brick infill from the walls and replace the brick with lightweight synthetic panels. The Courthouse is worth a visit if you are in the region, to see the exterior and the interior, and the exhibition. For no obvious reason, the Courthouse is only open for three days a week in season, plus bank Holidays. Visitors are advised to phone to check availability before travelling a long distance. 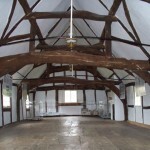 Allow time to stroll around the village and see many other timber-framed buildings which look as old as the Courthouse.